These are undoubtedly the core Outlier pants. The winner of Carrylogy’s sixth annual carry awards, the Slim Dungarees (SDs) are the quintessential travel pants and a staple done to perfection. For me, the SDs were my gateway drug into the world of high-end tech wear, and the cult that is Outlier. I’ve taken these bad boys on trip after trip, most of the time as my only pair of pants. I was previously into selvedge Japanese denim, but this was a game-changer for me. I’ve own these for more than two years now and they have been with me throughout all seasons and are still the go-to pants for me when I’m not traveling. These are a pair of slim fit pants that looks good in almost all occasions. As my single pair of pants on most trips, I’ve worn them from the cities to the mountains, and I must say, looking as stylish as can be each time. 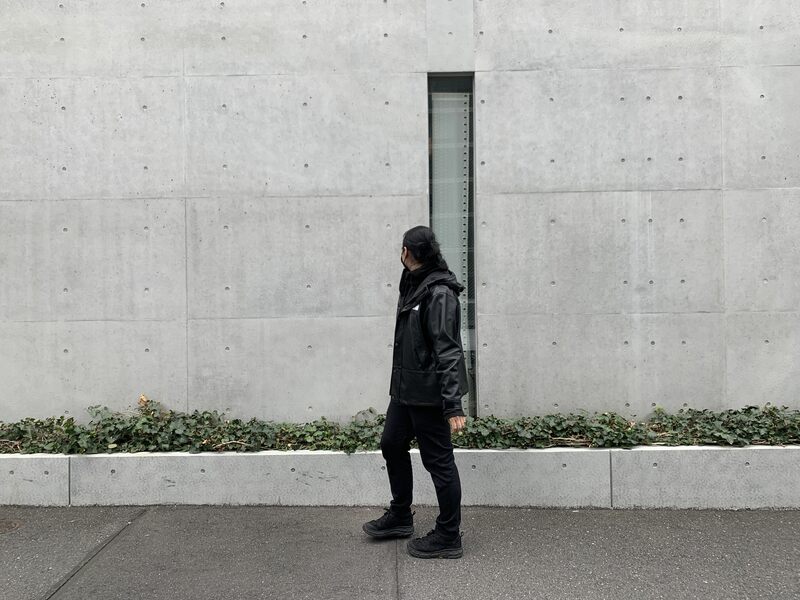 In order to be suitable for almost every location, the design of the pants are deceivingly simple. 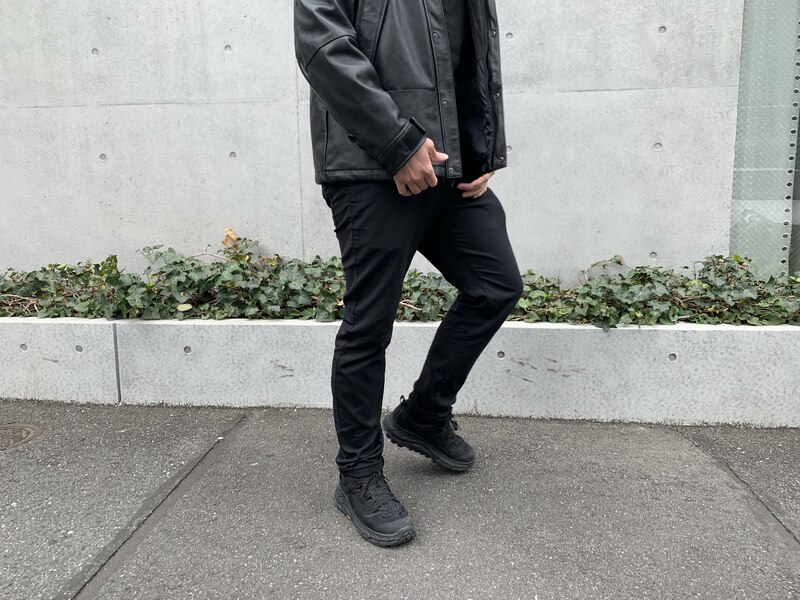 It tapers down towards the leg, but definitely does not get anywhere near the skinny range, unlike some of the other pants from Outlier like the Climbers. As with most of Outlier’s stuff, absolutely not a hint of external branding. As a traveller’s pants, you want to draw as little unwanted attention as possible. Outlier is well known for being the undisputed leader in their materials, often creating new materials using new techniques or construction. The SDs are in 82% Nylon, 16% Polyester, 2% Elastane, which gives its slight two-way stretch. You can experience a range of movement in the SDs without the fear of ripping a hole. 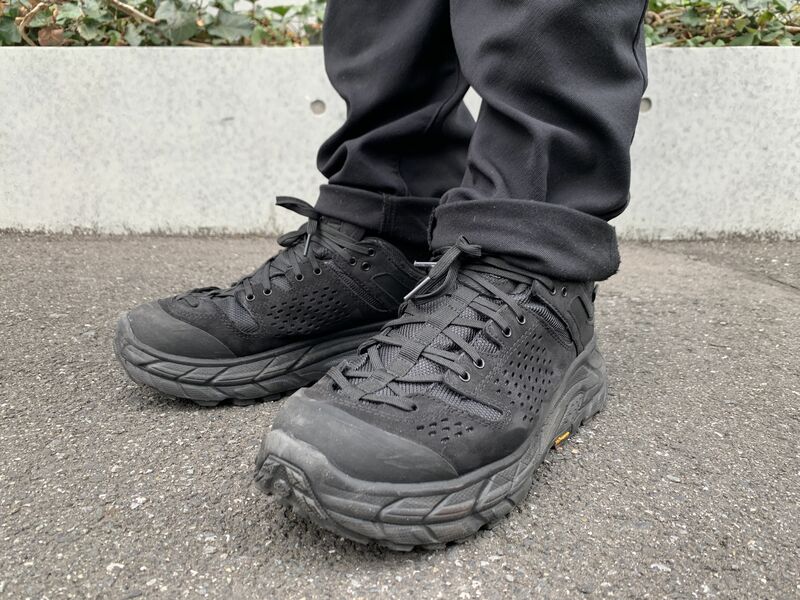 Specifically, the materials were produced by the technical fabric expert, Schoeller Textiles in Switzerland and Seattle, the company which previously supplied the 4Season fabric used in their OG Pants. They worked together to produce the Workcloth Doubleweave Canvas. Jacob Davis’, the inventor of the modern jeans, was said to have originally used canvas instead of denim in the original patented rivet pants from 1873. It was a tougher fabric, but at that time, miners had found it too rough on their skin. This is why the doubleweave construction was employed for the SDs. The outer could still be canvas to keep the toughness, while the interior could be weaved from gentler fibers, thus far kinder on the skin. The canvas outer reminds me a little of the rough Cordura material, but as intended, the insides are extremely comfortable. I have no problems wearing them to sleep even! Schoeller’s proprietary Nanosphere treatment was also added, which as the name suggests, bonds to fibers inside the fabric on a nano-level, where most treatments work on a micro-level. This results in a “self-cleaning”, water and dirt resistant surface with pores of the fabric still open to maximize breathability. I’m 6’0 and about 196lbs and got a size 32. For reference, I usually get an XL for Outlier’s Merino Wool Ultra Fine t-shirts. I’ve found that the SDs fit true to size. I’ve grown a little in the waist area over the years but the stretch of the material has been forgiving for cases like mine. These are slim but not skinny, not even ultra slim. They have what I would call a “relaxed” slim look. While they taper down in the calfs, they are no where near skinny even in that area. They also fit well over boots, despite being slim. For those who are taller, they have a version with a longer inseam which lets you have more to tailor off. I went with the regular version and usually cuff them up once or twice to get the perfect length. Inspired by climbing pants, Outlier uses a gusseted crotch for the SDs. A gusset is a diamond-shaped piece of fabric that aims to tackle the problem where a four way intersection creates a bulky lump of fabric that doesn’t hold up in traditional pants. 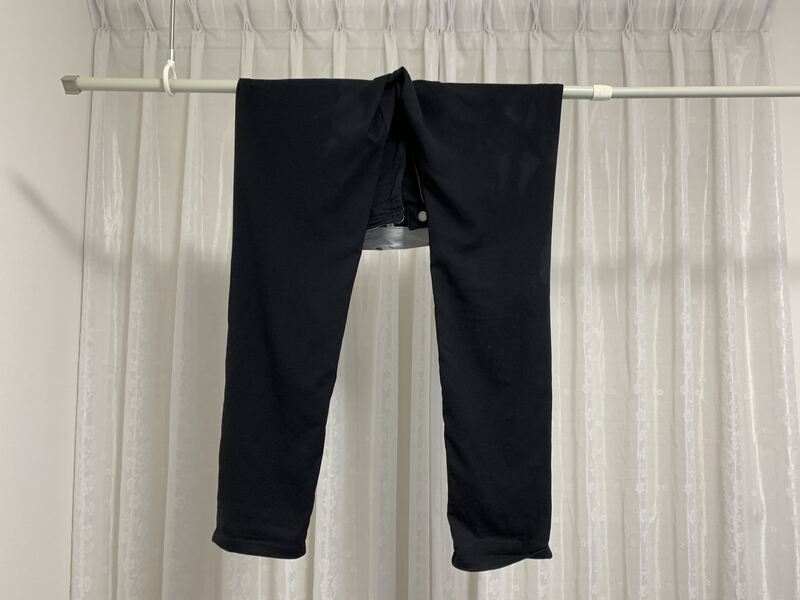 This is an intentional design element to offset the less stretchability compared four-way stretch pants. Doing this would give the SDs more structure, yet maintain a good range of movement for the wearer. It does so by allowing the forces of movement to be transmitted to four times as many place. These are substantial in quality but not as tough as, say, the Strong Dungarees. Since they are made with canvas, instead of twill, I’d say that they are very scratch resistant. I’ve used them in month long trips as my only pair of pants with no issues. I’ve used these for skateboarding, but just for a day, so don’t count on it holding up long term as your skate pants. If you want something more hard-wearing, a recent Experiment 153 created the SDs in a heavier workcloth. Or just go for the Strong Dungarees. It’s been two years of hard wearing, so there are areas where piling has occurred from harder abrasions. All in all, the workcloth has held up well as it doesn’t degrade from sweat and wear out like denim. I simply love the SDs as a pair of pants I can take with anywhere and do anything in. I’ve taken them hiking up the Great Wall of China and out on a crazy night in Hanoi’s Old Quarter. I wouldn’t go as far as to go running or do sports in them, although I did go skateboarding once in them. They are also water resistant and they dry quickly, usually over the course of a night, even when hung indoors. I usually wash them lightly in the shower and turn it inside out before hanging it up to dry. These are breathable, which helps with the drying process. If you hold them up the the light, you’ll be able to see through it. This also means it might not stand up against strong winter winds. Water resistance also means stain resistance. You don’t realize how helpful this is when you are traveling in all kinds of environments, in all kinds of weather. Denim became history for me once I learn of this synthetic goodness. I got this in black, so wrinkles are hard to see in the first place, but it helps stay smart if your pants are wrinkle free all the time. I’ve never ironed these pants before. If I were to own one pair of pants, this is it. This is a must-have for any serious traveller looking reduce their weight and stay stylish at the same time. I’m still wearing these very regularly and I can see myself wearing them often for some time to come. Perfect for one bag travel. A way around the price increase.